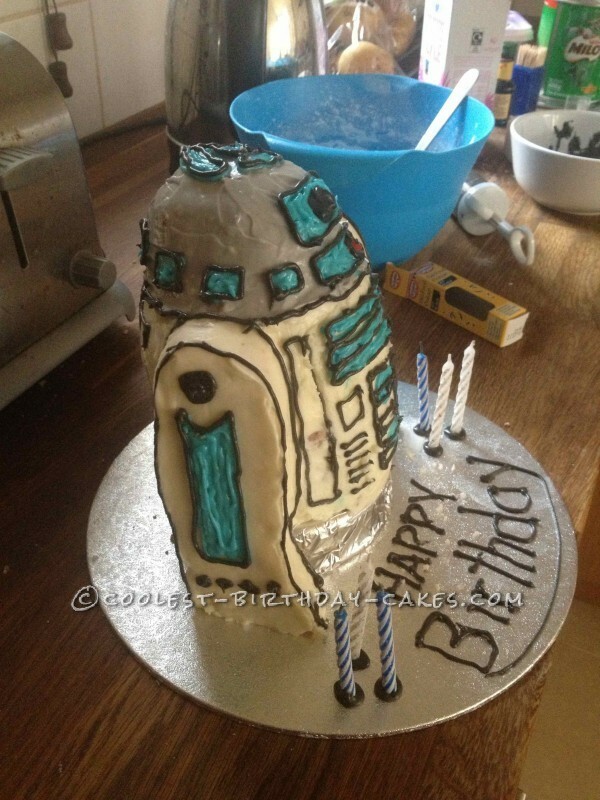 I made this R2D2 cake for my husband who is a big R2 fan. I haven’t made a 3D cake before so it was always going to be a challenge! Also, my husband doesn’t like fondant icing so I had the pleasure of having to use butter cream icing to decorate it. It took two days to make. I baked the small cakes, piled them up and carved the rice crispy legs, then added the crumb coat and put the cake into the fridge to set. The next morning I iced and detailed the cake which took hours! 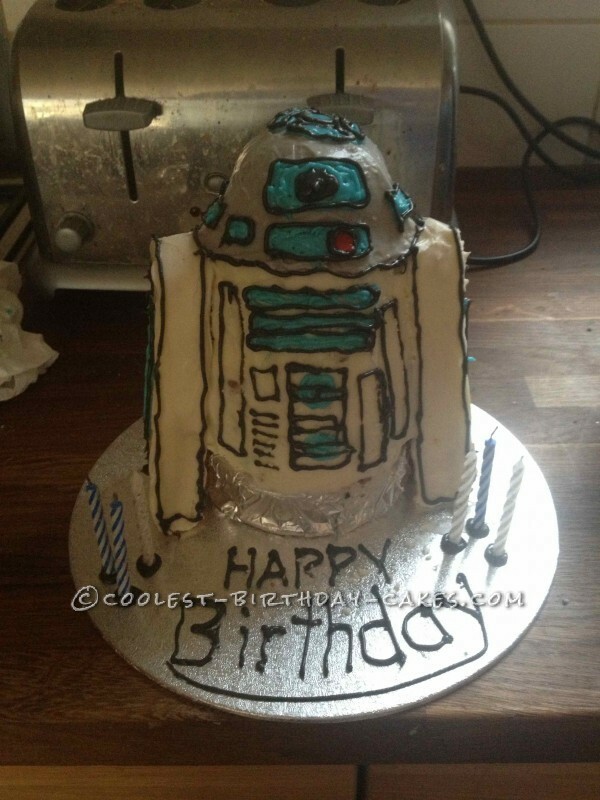 Luckily, when I presented my husband with the cake he was really pleased with it. Although he did start to laugh but I’m sure that’s because he was surprised right?? I have to say making this cake was both hilarious and frustrating in equal amounts. 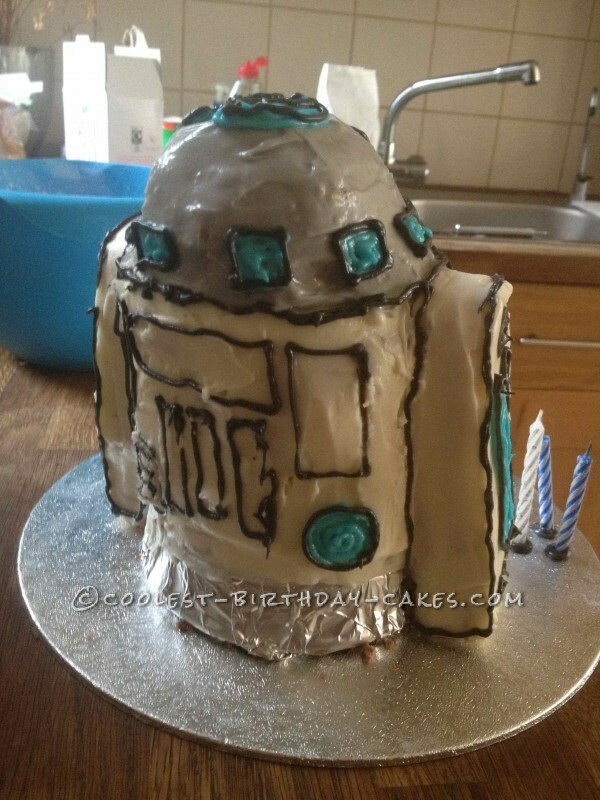 But it was totally worth the reaction and I’ll probably try to make another 3D cake again – maybe a Dalek next time.